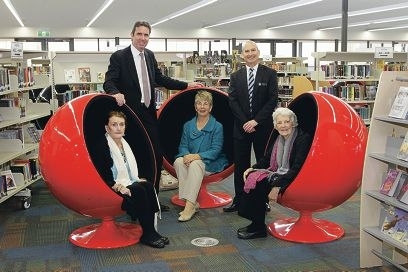 Education Minister Peter Collier MLA attended a special assembly to officiate at the opening. Other special guests included board members and direct descendants of William Kennedy, the college’s namesake ” Judy Gordon, Kim Douglas and Kathleen Ward-Yuill. Principal Mark Ashby said the college had a lot to be proud of. ‘Kennedy endeavours to foster strong, positive relationships with parents and wider school community in a sustainable and effective manner and today is a great example of this process in action,’ he said. Kennedy Baptist College, which opened this year, is the result of the joining of two neighbouring schools, Winthrop Baptist College and Somerville Baptist College.